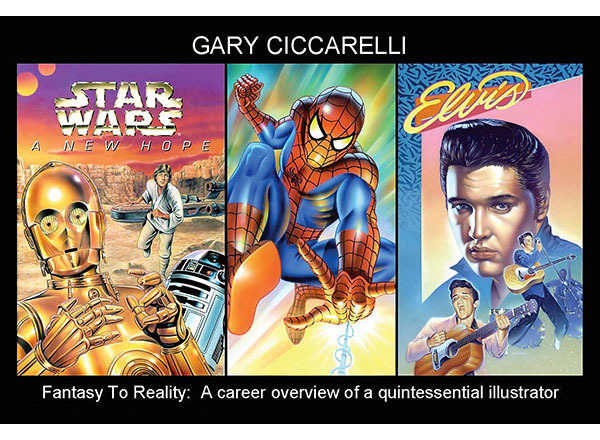 Throughout his distinguished career, artist Gary Ciccarelli has illustrated everything from posters of Elvis to U.S. Treasury Bonds, from Disney posters to superhero trading cards. This exhibition, Fantasy to Reality: A Career Overview of a Quintessential Illustrator, is an overview of his personal favorites. It runs in the Sisson Art Gallery (F-155) in the MacKenzie Fine Arts Center (Building F) from Jan. 18 to March 15. Ciccarelli, a lifelong Dearborn resident who attended HFC and the Center for Creative Studies in Detroit, has been a professional illustrator for more than 45 years. He has been commissioned to create signature artwork for over 100 high-profile clients such as NASCAR, McDonald's, Microsoft, Nike, Coca-Cola, 20th Century Fox, Ford Motor Company, Marvel, and Target, to name a few. He also merited numerous awards including The Society of Illustrators. 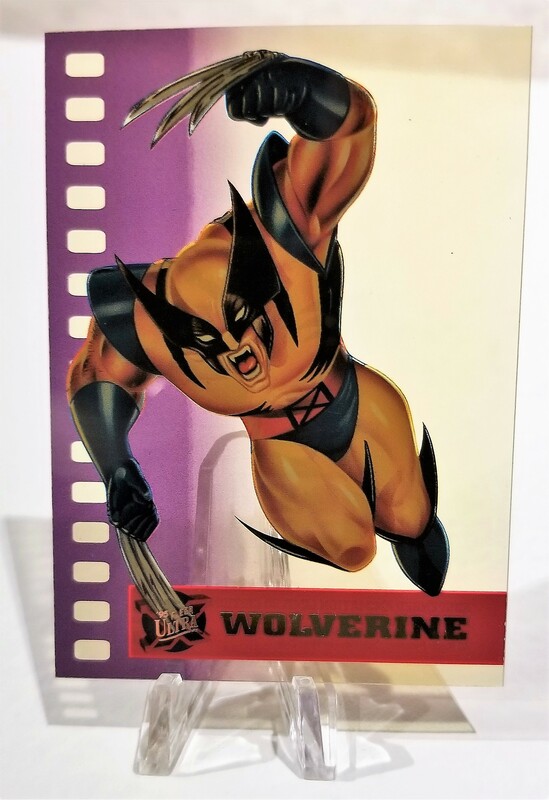 His passion for fantasy art has led to illustrating sets of X-Men and Spider-Man cards and countless superhero products such as video games, toy boxes, board games, cereal boxes, and Star Was books. His artwork has become highly collectable due to several prominent jobs. One of these is the annual Christmas Budweiser Stein, which he illustrated for many years. He also had the privilege to be the first private citizen selected to illustrate national heroes, such as Dr. Martin Luther King, Jr., on the I-Series Savings Bond. He was honored in Washington, D.C. for this achievement. 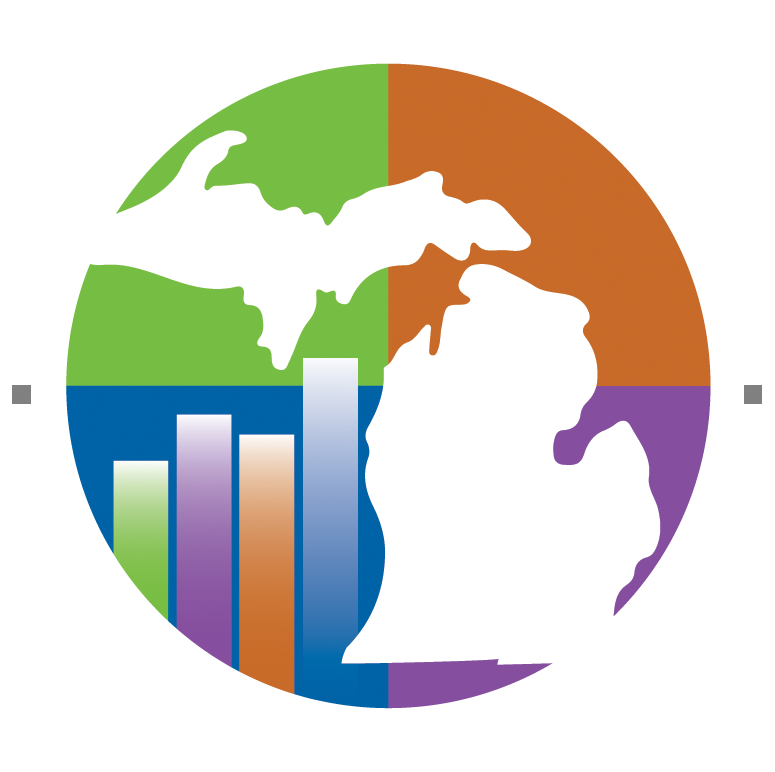 * Monday, Wednesday, and Thursday: 9:00 a.m. to 4:30 p.m.
* Tuesday: 9:00 a.m. to 8:00 p.m.
* Saturday, Feb. 2: 11:00 a.m. to 3:00 p.m.
For questions or more information, contact Steve Glazer at 313-845-6485 or sglazer@hfcc.edu. Visit the Sisson Gallery at sisson.hfcc.edu. Learn more about Ciccarelli at the Sisson website. Gary Ciccarelli's rendition of Wolverine, one of Marvel's most popular characters. 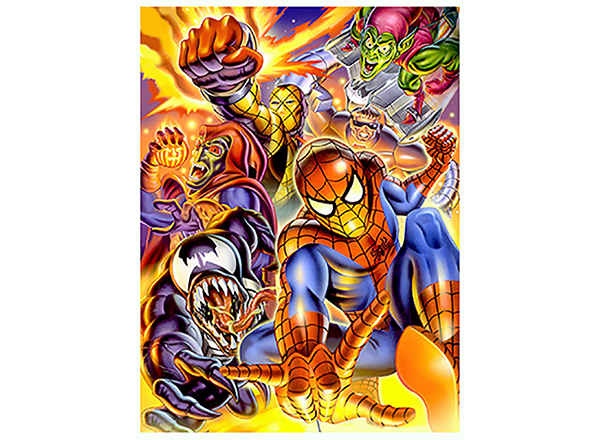 Gary Ciccarrelli's rendition of Spider-Man and his rogues gallery.